There are some characters in Irish story who are just hard to ignore. 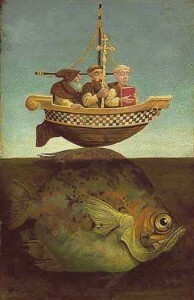 St Brendan the Navigator is one of them. Although his voyage is not one of the Immrama from the tale lists, he confidently sets of with his crew of monks to sail to the Land of Promise of the Saints. Join the Story Archaeologists as they follow in the wake of a saint.